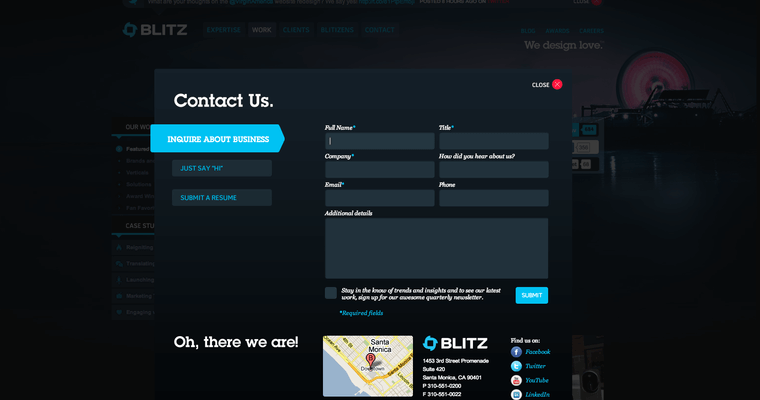 Get ready for a bombarding experience to the senses in the digital space with Blitz Agency. 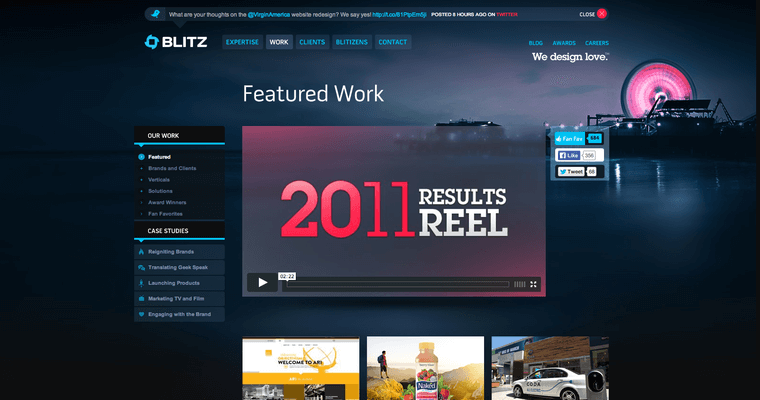 Their website is a treat for potential clients to get a clear understanding of the in-house talent. Imagine 3D in motion using the world around you. Now imagine that same impressive quality for your brand. Every customer contact will be left with one thought; to see your website again. This translates into top organic search results on the big three engines. PPCs will be threw the roof as well as conversion rates. Your brand products and services will be the only thing social media is talking about, and twitter will be trending. Instead of reading about their services, there is a video that takes clients on a ride. At the end, whatever the services are that generated the video presentation will have partners signing up. Clients that join the digital space revolution with this firm will definitely set some trends.